Cordyceps sinesis mycelium supplements, more commonly referred to as cordyceps, are a combination of the larvae of a particular caterpillar and a fungus that grows on it. This supplement has not been extensively studied, but according to the Memorial Sloan Kettering Cancer Center, animal and laboratory studies have found it contains anti-diabetic, anti-tumor and radioactive properties, while one human study found it improved kidney function. Not enough evidence exists, however, to firmly establish therapeutic benefit for any condition. Cordyceps appears generally safe though it might cause some side effects. If you believe taking this supplement will address a particular health concern, discuss the appropriateness of use with your doctor. Reported side effects from cordyceps supplements include nausea, diarrhea, dry mouth and mild stomach upset, according to Drugs.com. A lack of human studies examining this herb means that other side effects not yet discovered are possible. 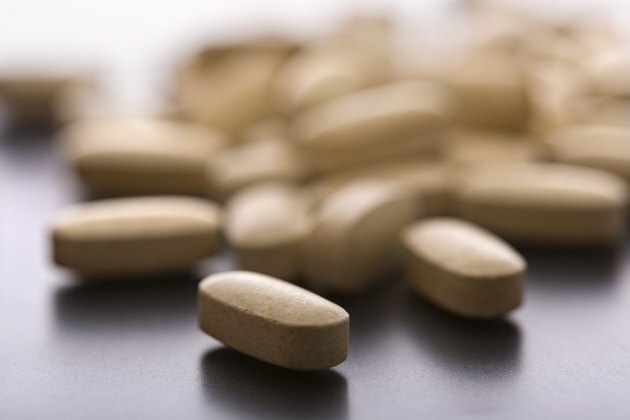 Anytime you start a new supplement, watch for any unusual changes or symptoms. Besides being used for medicinal purposes, the Chinese have long consumed cordyceps as a food, which suggests it is generally a substance to consume, and it does not appear to pose any risks for toxicity. According to Drugs.com, cordyceps does not have any documented contraindications – instances where you should not use it, such as the presence of a certain medical condition or the use of certain medications. A lack of research, however, means that undiscovered contraindications might exist. If you are pregnant or nursing, avoid it to be on the safe side. If you have any sort of medical condition, particularly liver or kidney disease, check with your doctor about any potential risks of using cordyceps. Same goes if you take any medications. Its potential to lower blood sugar suggests cordyceps might help manage diabetes. When using supplements that perform similar actions as drugs, you might require dosage reductions in your medications to compensate for the effects. If you take insulin or other diabetes medications, it might be necessary to make dosage adjustments to avoid hypoglycemia, or low blood sugar. Sloan Kettering notes animal research that suggests cordyceps might stimulate testosterone production. Whether or not that would have any significance in humans remains unclear. If you currently have, or have an increased risk of, a hormone-sensitive disease like prostate cancer, do not use cordyceps without talking to your doctor first.